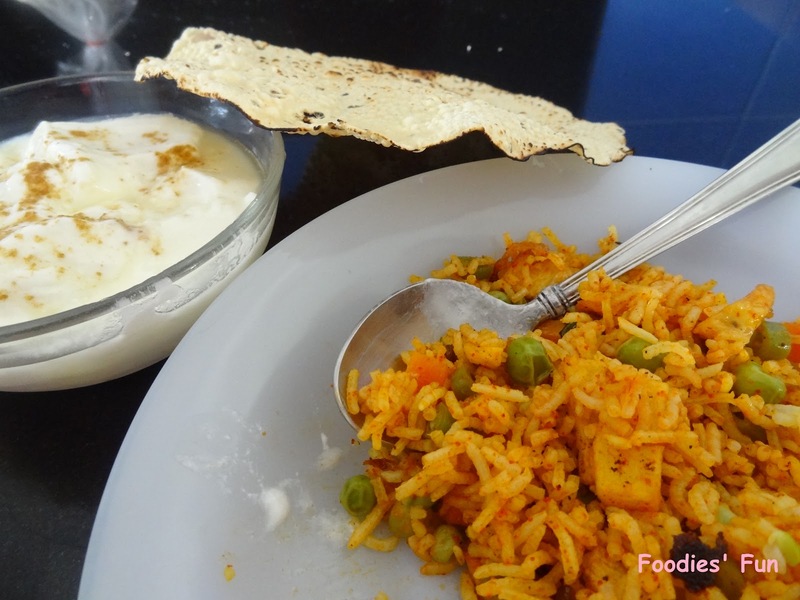 Wash and soak rice 1-2 hours before making the briyani. 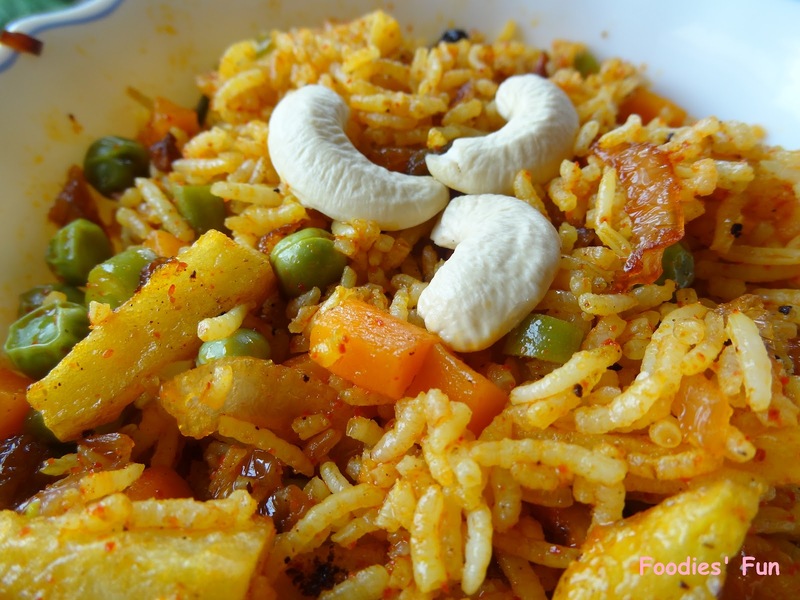 Boil the rice with a pinch of salt for about 10 minutes. 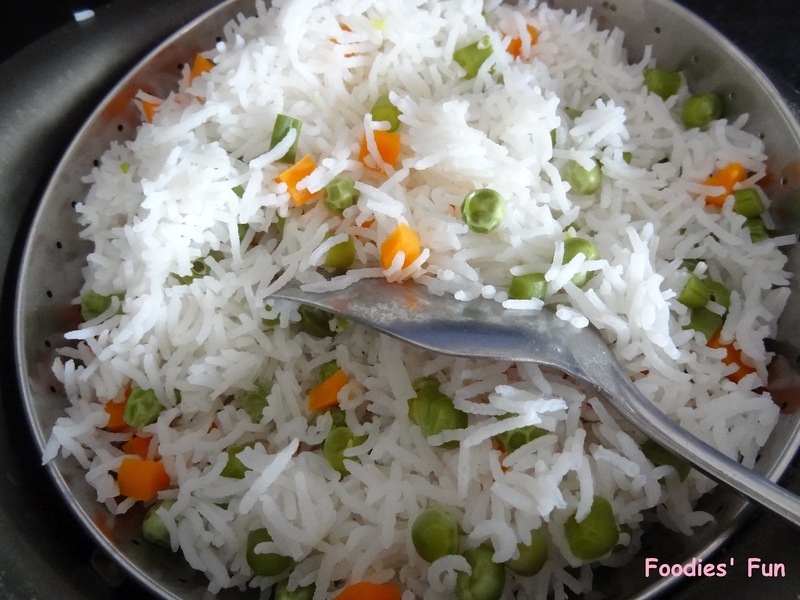 [Foodies’ Note: Don’t make the rice too mushy] Also add diced carrots, french beans and peas to it. When rice are almost done add few lemon drops. 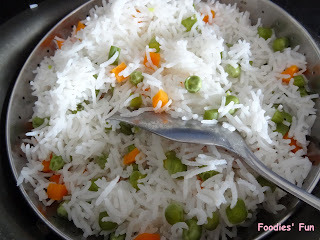 This will give nice texture to rice. Drain off the water and let it cool. 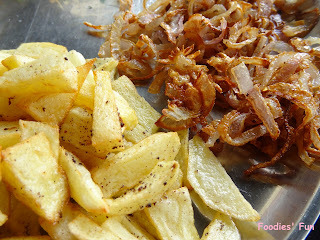 Take a frying pan and pour oil in it to deep fry potato and onions till they turn golden brown. This will take 5 minutes each. 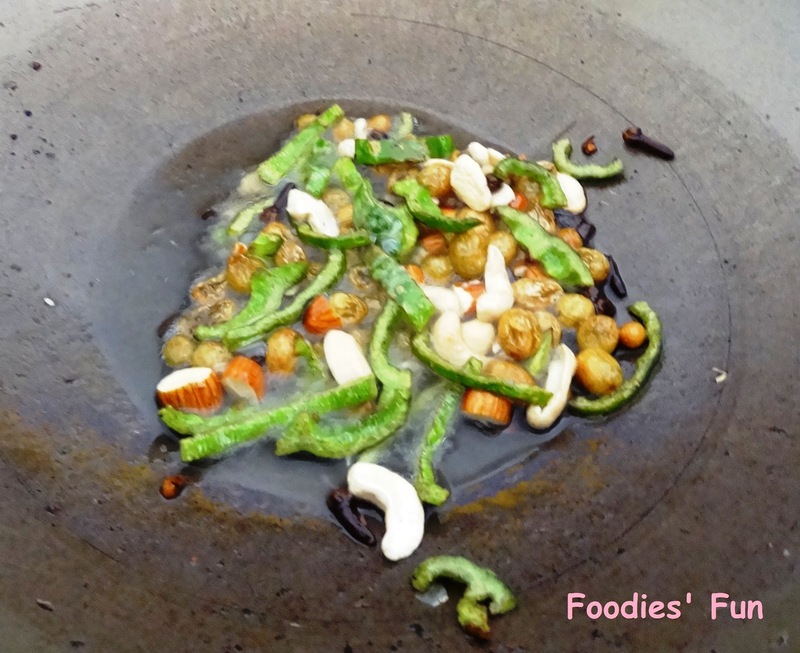 Remove oil from the frying pan. And add ghee to it or you can pour out extra oil from the pan and keep about 3 tbl spn of oil in it. Heat it up. Add cinnamom, cardamom & cloves to it while it heats up. This will bring a nice aroma in kitchen. Then put capsicum and fry them till they turn dark green. Now put raisins, almonds, cashew nuts to it. Fry it for about 5 minutes till raisins puff up. 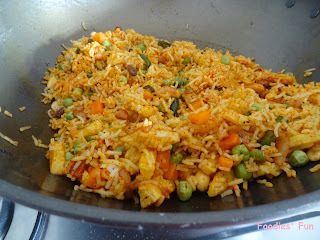 Then add cooked rice, boiled vegetables, fried vegatbles, turmeric powder, salt, red chilli powder and briyani masala. Mix them all gently. 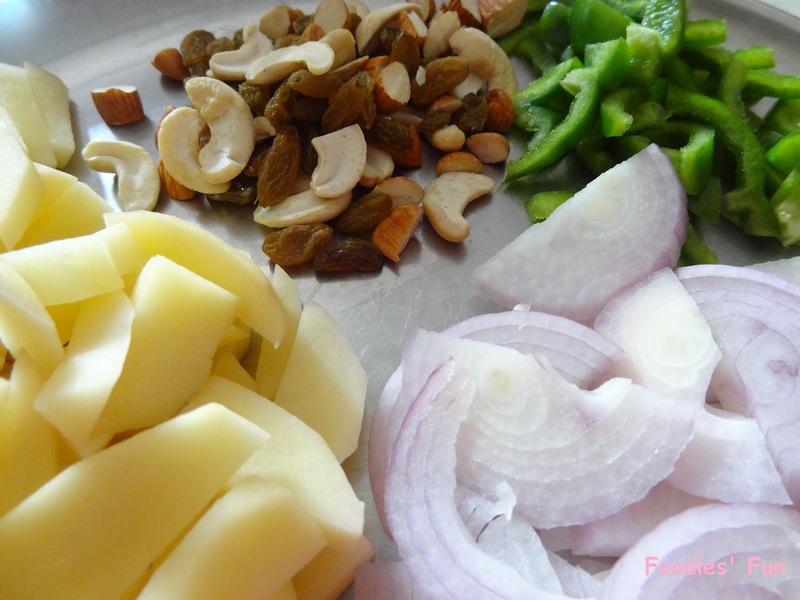 Use cashew nuts and coriander leaves for garnishing. Serve it with curd and roasted udad papad.